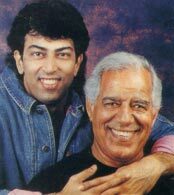 Dara Singh was more than a film star. He was a piece of folklore and he became a sociological phenomenon. He cannot be seen merely as a fact of autobiography, a curriculum vitae of achievements, a composite of 148 films and some legendary TV performances. He has to be seen as a hybrid of myth and folklore, of archetype and stereotype. He was an individual who stoked a collective consciousness, as a larger than life evocation of the desi hero. He represented the Indian idea of masculinity - the mard. He was the He-man as a gentle giant, the Punjab da puttar who was authentic desi, a product of local soul and local foods. He had physical prowess but none of the aggressive machismo we see today. He evoked security, gentleness, the right kind of patriarchy; his body rippled with the indigenous values. Even a Ramdev could salute him. He was proud to be Jat, content to be Indian. He was a creature of the akhada, a pahalwan trained in an Indian style of wrestling. The akhada of that time was an embedded part of culture, a blend of the traditional body and Indian values, a theory of health and vitality. It was not the annexe to electoral politics it became later. Dara's triumph over King Kong and George Zybisco made him a legend. For a culture used to defeat in the 1960s, Dara Singh provided a new sense of a collective identity. He was an undefeated hero. 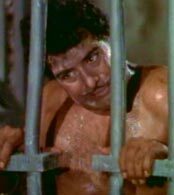 He embodied a folk notion of victory which travelled from the world of kushti to the annals of film. Dara bridged the folklore of the akhada and popular consciousness as a cinematic hero. As kids we saw him as the man who fought King Kong. Dara versus King Kong was the ultimate battle of good and evil in our childhood. He began with the lesser mythologicals like Samson, Hercules, Sikander, till he created a niche called Hanuman. The joke goes that there might be 300 Ramayanas but there could be only one Hanuman - Dara Singh. He became the intersection of nature and culture when he played Hanuman. 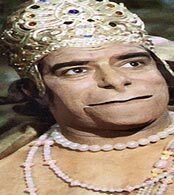 Dara Singh as Hanuman would have been Valmiki's original choice. Dara and Hanuman were doubles of each other in different contexts. Both evoked physicality as morality, goodness as strength. Hanuman was the archetypal superman. An Indian superman had to derive from myth not from science fiction. He could not be the Big Hulk or someone who came from Krypton. 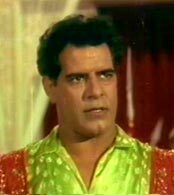 There was no secret to Dara Singh beyond desi ghee and ma ka khana. His discovery of Mumtaz was perfect. She was the ideal foil, the natural beauty, unspoilt and spontaneous. Even his aging followed an Indian sense of being. It was strength which mellowed but did not weaken. He became the friendly grand-father, uncompromising on values but open otherwise. His real life was a sociological extension of his reel life. 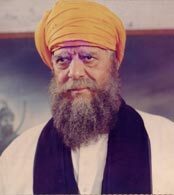 He was president of the Jat Samaj, a member of the Rajya Sabha, a successful studio owner. He epitomised success and the grace and modesty that came with success. Film stars realised that they were stars but he represented a firmament. They were tickled to act with him fulfilling their childhood fantasies. They realised that he had achieved the ultimate by becoming a legend in folk and cine-matic life. His physical prowess was no fantasy, his gentleness was everyday. He created a whole sociology by being himself. He just had to be and the script organised itself around him. He was the perfect epitome of patriarchy, rustic, strong, Indian, gentle, protective and chivalrous. His strength evoked tolerance, his prowess gentleness. His body represented the good life, the Ayurvedic-agricultural view, which achieved its harmony in the city and made sense of it. His old age was part of an easy cycle of the acceptance of life. His body graduated from strength to authority, from prowess to an earthy wisdom. 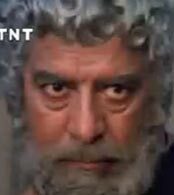 In a deep sense Dara Singh represented a blending of opposites. He was successful in all grades of films whether A, B or C, and that made him the true democrat of films. He could be acting with Mumtaz or Amitabh but he remained Dara, the quintessential Indian who combined traditional and modern, urban and rustic without tension. He was a man who belonged to his time because he belonged to every part of it. Dara as an event had something for everyone. His presence was a child's delight. His being was both real and unreal, a billboard of a man who played the uncle next door. He was a piece of history who was also a myth. To be Rustam-e-Hind and Hanuman, Sikander, the filmi Dada, a member of Parliament, made him history, nostalgia, an eternal delight, a piece out of an Indian Ripley's Believe It Or Not. Life does not make such creatures any more. A true narrative of him would find mere biography inadequate. One needs a blend of fantasy, metaphor, folklore, myth, legend and history all rolled into one narrative that was totally singular yet essentially Indian. 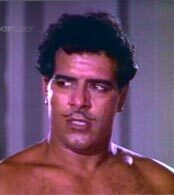 A Dara Singh stamp done with flair would be a commemorative delight and provide a true sense of folk justice.